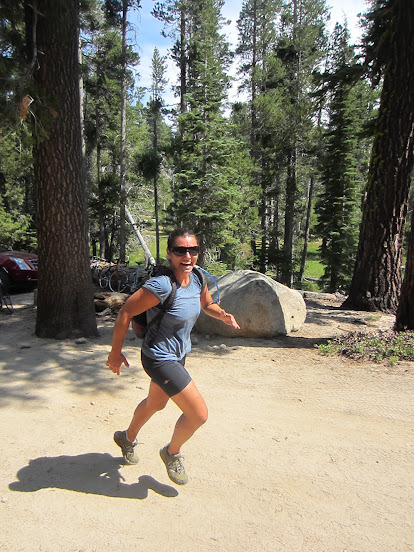 Angora Lakes Triathlon Recap | Meghan Kelly Teles! 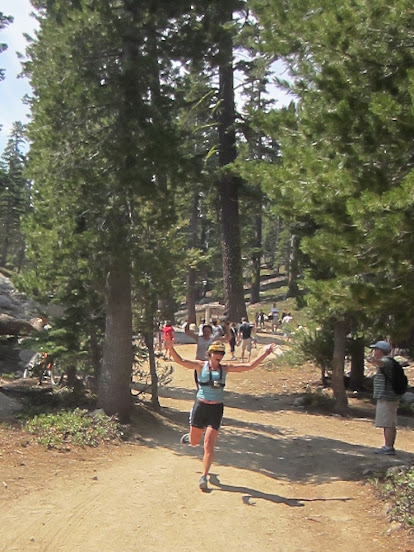 Every year, on the 1st Saturday in August, Tahoe locals get together to compete in the unofficial Annual Angora Lakes Triathlon. The weather is always perfect and Angora Lakes is the perfect temperature for swimming. The route is always the same, a scenic 6 mile bike ride from Kiva Beach up Angora Ridge Road to the Angora Lakes parking lot, followed by a steep mile run up to Angora Lakes, where we then jump into the lake just as we’re getting too hot, and swim across to a 20 foot cliff, jumping off, and then do it all over again on the way back. Except that it is WAY easier since it is downhill! The climb is a lung buster, but the meadows filled with wildflowers and flanked with aspens and stunning vistas can make you forget about your aching legs and rapid heartbeat. We call it a race, because it’s pretty fun to compete against your friends… but the only reward is pride and the only goal is fun. Mission accomplished again. 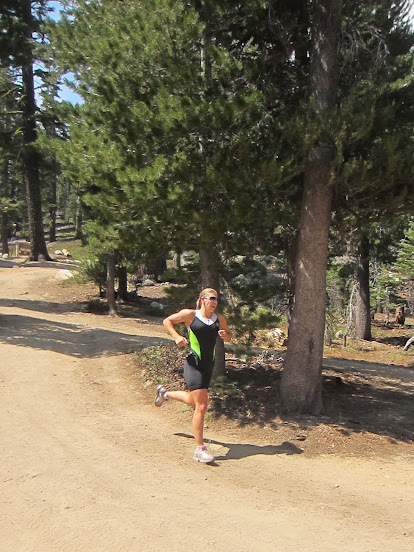 We’re even thinking of more “fake” triathlons we can do in Lake Tahoe. We’ve decided the opportunities are endless. Video recap of the race! Pingback: It’s that time of year again! | Meghan Kelly Teles!